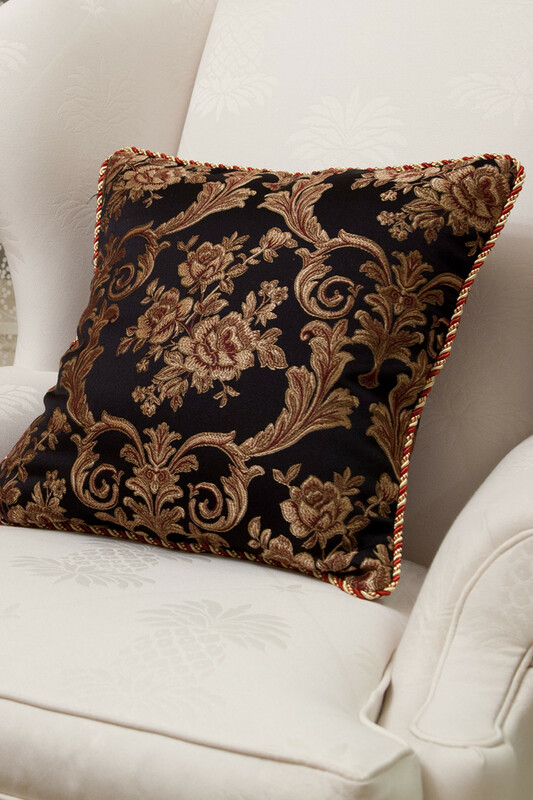 The ultimate combination of chic and luxury makes this Royal Black pillow case so unique. 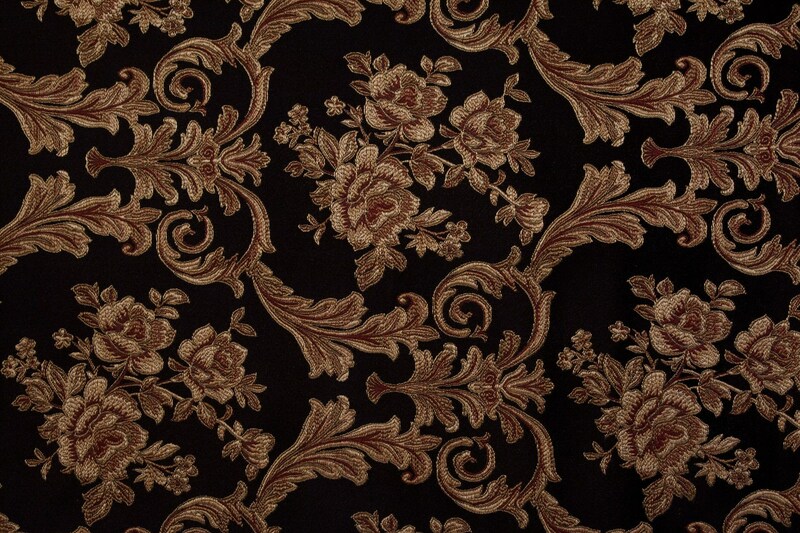 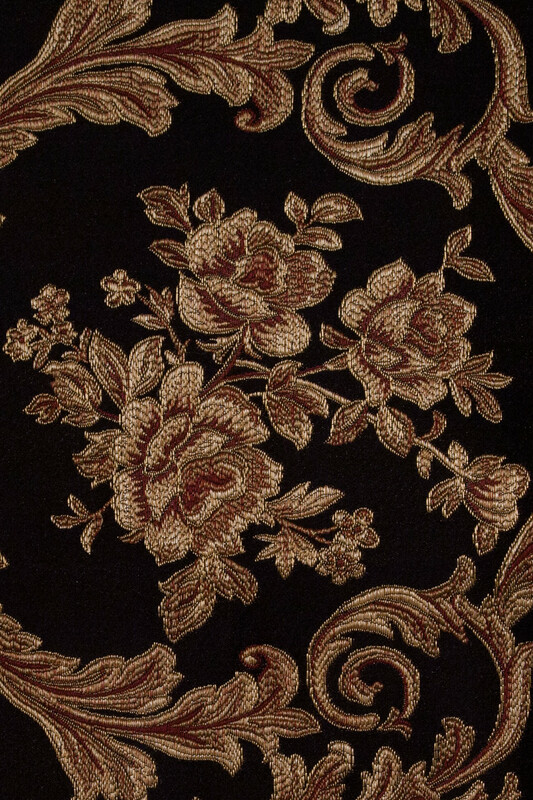 The fabric is simply stunning with the gold and red floral patterns contrasting against the deep black. 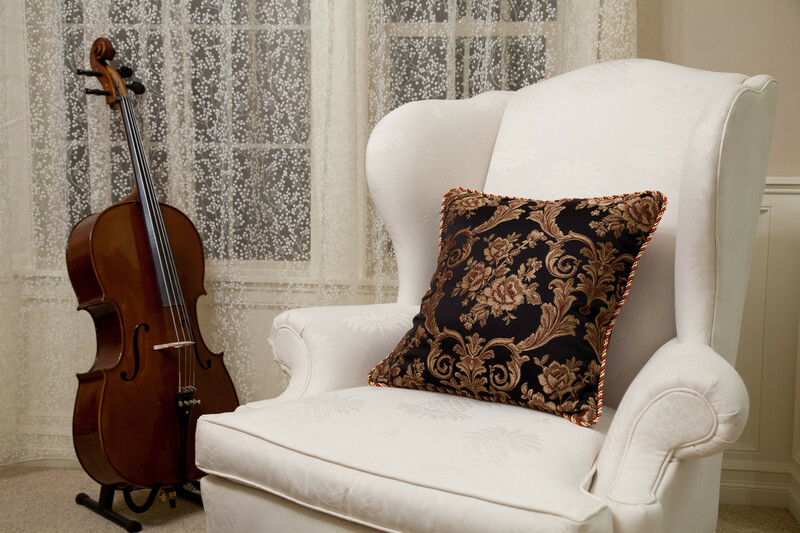 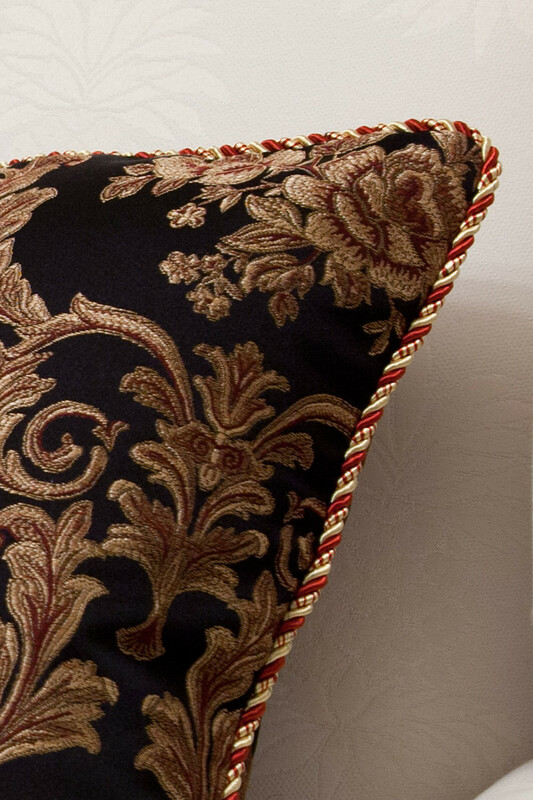 The red and gold rope trim around is a to-die-for enhancement that completes the designer look of this pillow case.